Poured concrete is fast, efficient, affordable, long lasting and performance tested. Our poured concrete walls add true value to your residential structure. 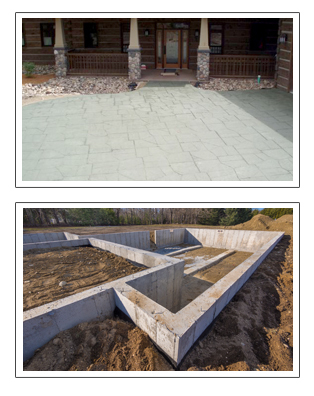 Driveways, sidewalks and patios are another place you will appreciate the quality work of Central Minnesota Masonry. Having our own excavating crews allows for efficient site preparation. You will only deal with one contractor for all of your excavation and foundation needs.